Attendees at a recent workshop agreed on plans to advance methods for product safety testing that meet the needs of regulatory agencies while reducing the use of rodents. 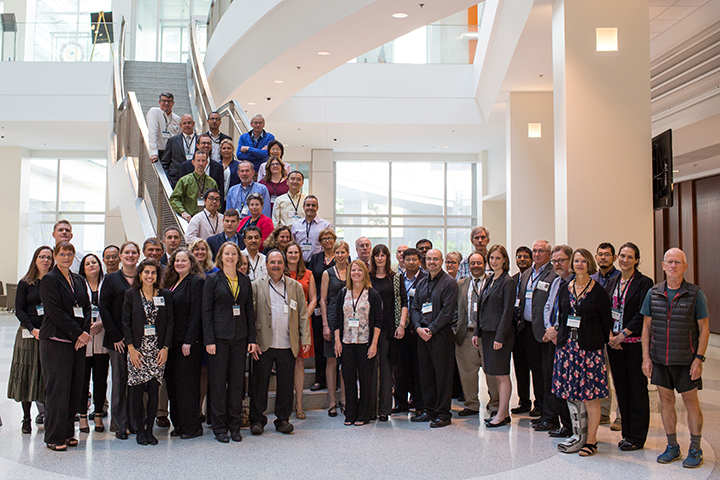 Representatives from government agencies, academia, and industry gathered at a Sept. 24-25 workshop co-organized by the National Toxicology Program (NTP) Interagency Center for the Evaluation of Alternative Toxicological Methods (NICEATM; see sidebar). 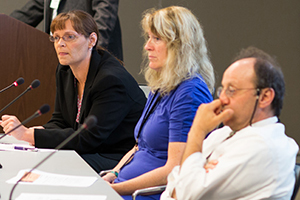 The workshop, Alternative Approaches for Identifying Acute Systemic Toxicity: Moving from Research to Regulatory Testing, was held at the National Institutes of Health in Bethesda, Maryland. Other organizers included PETA International Science Consortium Ltd. (PISC) and Physicians Committee for Responsible Medicine (PCRM). Acute systemic toxicity tests measure the potential of chemicals to cause illness shortly after being swallowed, inhaled, or absorbed through the skin. Data from these tests are used to develop warning labels for packaging of products containing these chemicals and recommendations for personal protection when handling them. Acute systemic toxicity tests typically involve rodents, but alternatives using high-throughput and computational methods have the potential to identify human toxicity more quickly, using fewer animals. Representatives of U.S. regulatory agencies opened the workshop by reviewing the acute toxicity data that they require and how they use it. Speakers from industries and academia then presented case studies of how computational methods and tests using fish embryos have been used to assess pesticide toxicity. During breakout discussion sessions, participants identified the resources needed for moving forward. One such need is the collection and curation of high-quality reference data. This data, from previous rodent tests, will be used to evaluate the new approaches. Attendees emphasized the importance of characterizing the variability in this reference data. Scientists at NTP and NICEATM will take the lead in coordinating collection of reference data from sources identified during the workshop. Other needs included training on use and interpretation of computational approaches, and global consistency in testing requirements. Each breakout group crafted a roadmap and strategy for reducing or replacing rodent use within a three-year timeframe. The strategies will be implemented by a new working group, composed of workshop participants and supported by NICEATM. The workshop proceedings will be submitted for publication early next year. The term alternative methods refers to methods of research and testing that use fewer or no animals, or that reduce animal pain and distress. NICEATM is an office within the NTP that supports NTP high-throughput screening projects and development of novel approaches to testing. Integrated Laboratory Systems Inc. (ILS) supports these activities. Joanna Matheson, Ph.D. and Judy Strickland, Ph.D., from ILS, described an approach using computational methods and data from nonanimal tests to identify substances that can cause allergic contact dermatitis. 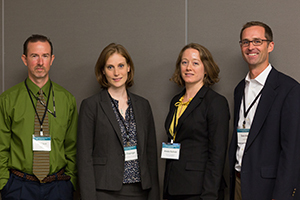 David Dix, Ph.D., from EPA, presented an approach developed in collaboration with NICEATM that could partially replace animal testing required by the Endocrine Disruptor Screening Program. Ashley DeCoux, Ph.D., from PISC, described a study of the induction of pulmonary fibrosis by inhalation of carbon-based nanomaterials, a project that arose from a February 2015 workshop co-organized by NICEATM. NICEATM and NTP scientists co-authored five posters on computational methods and reference databases for development of alternative testing approaches. The poster by Nicole Kleinstreuer, Ph.D., from ILS, “Identifying Reference Chemicals for Androgen Receptor Activity,” received the Edward Carney Predictive Toxicology Award, which is given to the first author of the best poster presented at the ASCCT annual meeting. next article - "Variability among individuals spurs ..."